The United Nations World Food Programme (WFP) and the United Nations Population Fund (UNFPA) in Sri Lanka embarked on a new joint project today to improve women’s nutrition and promote gender equality and women’s empowerment in Sri Lanka by providing critical information and services on sexual and reproductive health, nutrition and food security over the next year. 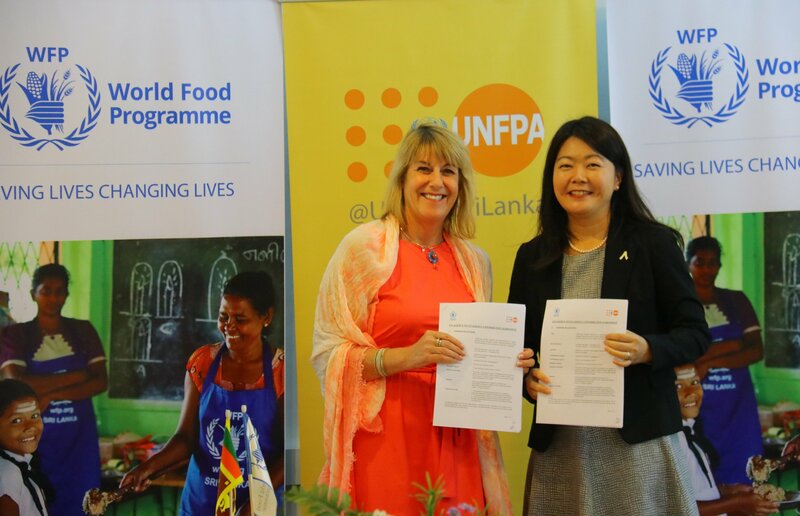 The project, which will assist communities in six districts – Monaragala, Matale, Mullaithivu, Mannar, Batticaloa, and Nuwara Eliya – focuses on the development of women entrepreneurs through initiatives aimed at enhancing their skills and boosting their income. In addition, the project will aim to improve access to sexual and reproductive health services which would enable the prevention of human rights violations such as gender-based violence.